OnePlus will be releasing a 5G phone called OnePlus 7 Pro. The company has so far been very vague with additional information. Until now we only knew that it would be powered by the Snapdragon 855 chipset. Also, it will have the X50 5G modem. As said, so far these were the only information, but today two photos emerged on Weibo. 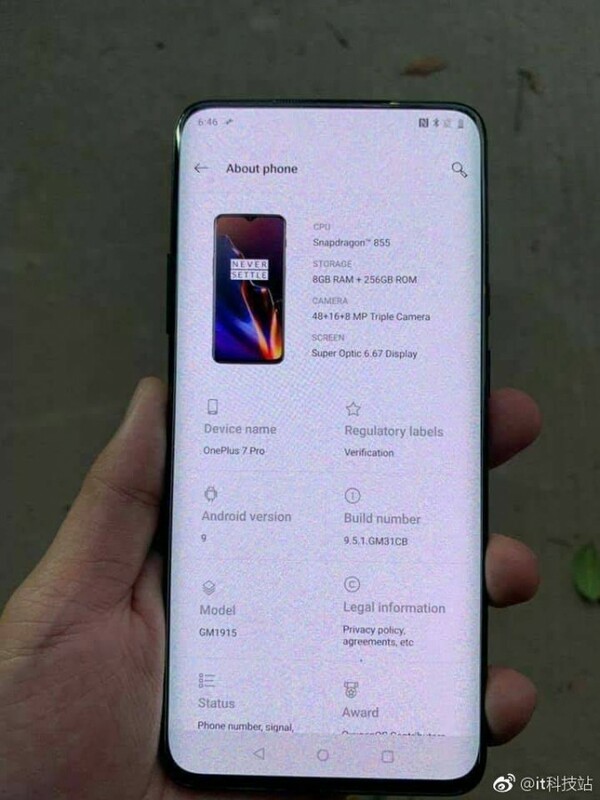 Both photos show the new OnePlus device, supposedly called OnePlus 7 Pro. Take a look yourself. In the photos, you can see more additional information about the new phone. It will have 8GB of RAM and it will come in a 256GB internal storage version. Also, it will have a triple main camera setup. The primary camera will have a 48MP resolution, accompanied by a 16MP secondary and an 8MP third sensor. When it comes to the display, we can see that it will come with a large 6.67″ Super Optic screen. Not only that, but it will also be a curved, edge display. The phone is running on Android 9 with a 9.5.1 GM31CB build number. 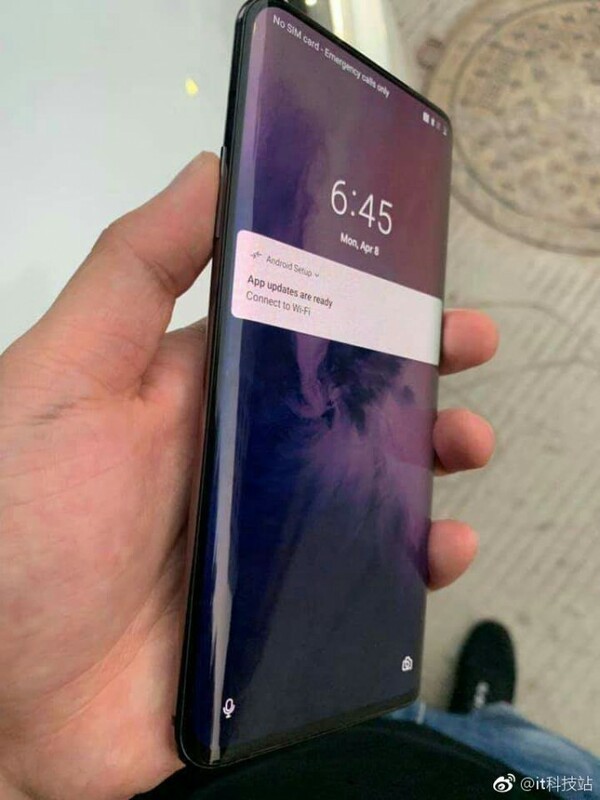 Here we can see a OnePlus 6T, which means that, perhaps, the post isn’t true, but it could also be unfinished software.